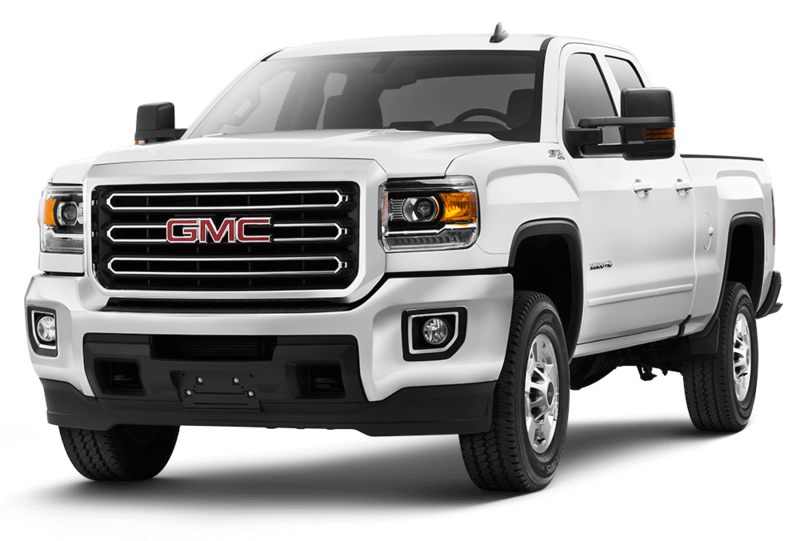 The 2017 GMC Sierra 2500HD comes in four trims, Base, SLE, SLT, and Denali – each offering rip-roaring performance, impressive towing/hauling capabilities, and generous feature sets. Westridge Buick GMC, located in Lloydminster, is the home of the new Sierra 2500HD. If you’d like to take this monster pickup for a test drive, stop by our dealership to check out our astounding new inventory! StabiliTrak—keeps the truck on its intended path by managing braking and throttle. Automatic Locking Rear Differential—increase traction instantly. Driver Shift Control—simply use the shift selector to shift gears up and down. Hill Descent Control—allows for a controlled descent without the necessity of the brakes in challenging terrain. 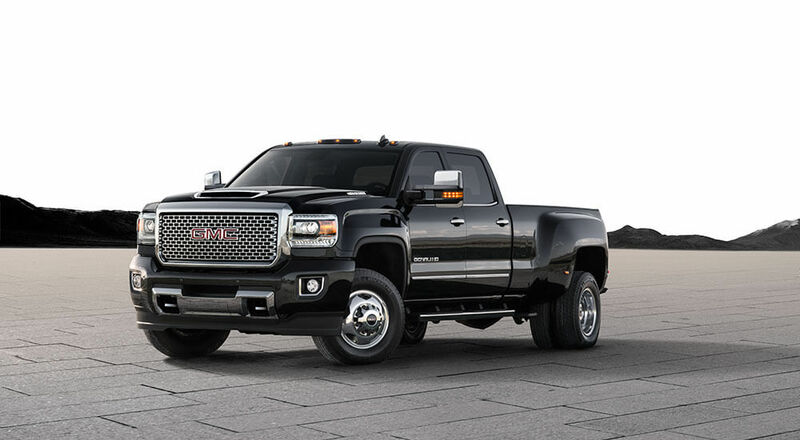 Available in Regular, Double, and Crew Cabs, as well as Standard Box and Long Box, the Sierra 2500HD provides a host of options for Lloydminster drivers. 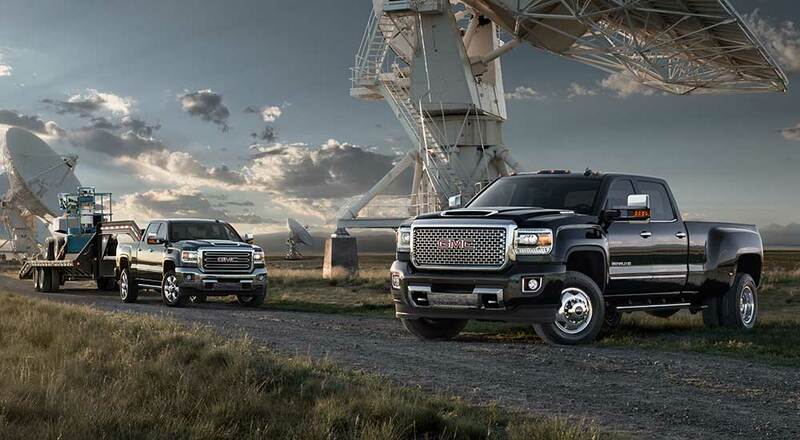 Regardless of the configuration you choose, the Sierra is built to tow and haul efficiently. 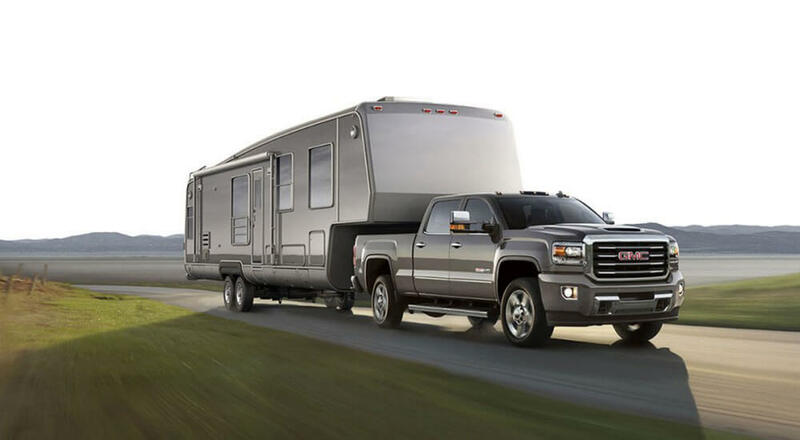 The maximum fifth-wheel trailering capacity for the Sierra 2500HD is 8,210 kilograms. Meanwhile, the maximum payload reaches 1,834 kilograms, allowing you to haul in confidence. 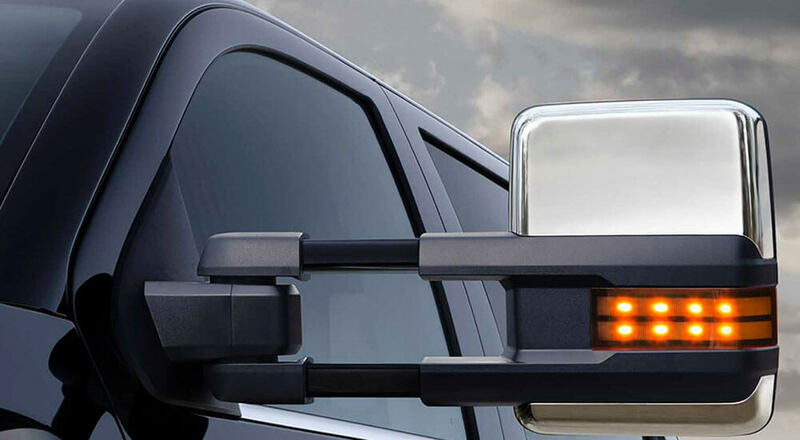 Standard on the SLE and SLT trims, the fully-loaded Trailering Equipment Package tacks on a trailer hitch platform, rear-vision camera, and more. With triple-sealed doors, hydraulic mounts, and aerodynamic exterior mirrors, the 2017 GMC Sierra 2500HD offers a quiet ride like no other in its class. High quality materials such as available leather upholstery, aluminum accents, and contrast stitching give the cabin an inviting look and feel. A 203-millimetre color touchscreen is also available for easy access to audio controls and optional navigation. Additionally, luxury interior features, such as a leather-wrapped steering wheel, dual-zone automatic climate control, a Bose Premium sound system, and a universal home remote, can be paired with any Sierra 2500 HD. Spray-In Bedliner: The available spray-in bedliner will guard your Sierra from dents, scratches, and corrosion, thanks to its durable seal. It will also help extend the lifespan of your truck and equipment. Four Upper Tie-Downs: Managing cargo of all shapes and sizes is easier than ever with the assistance of the four upper tie-downs, standard on every truck. LED Box Lighting: When you don’t have a flashlight nearby, or are unable to see inside of the tonneau cover, the available LED box lighting will certainly come in handy. Fog Lamps: For illumination of the road during foggy or low-visibility driving situations, the halogen front fog lamps are a must-have feature. In addition, the Sierra 2500 can be furnished with a locking tailgate, manual trailer mirrors, a power sunroof, chrome door handles, a rubber bed mat, wheel locks, and so much more. We Proudly Serve Lloydminster and Surrounding Areas! If you need a heavy-duty pickup that’s both family- and work-ready, the 2017 GMC Sierra 2500HD won’t disappoint. If you have questions about the Sierra 2500HD and its capabilities, contact Westridge Buick GMC from 9 a.m. to 6 p.m. Monday through Saturday. Our team can’t wait to hear from you!